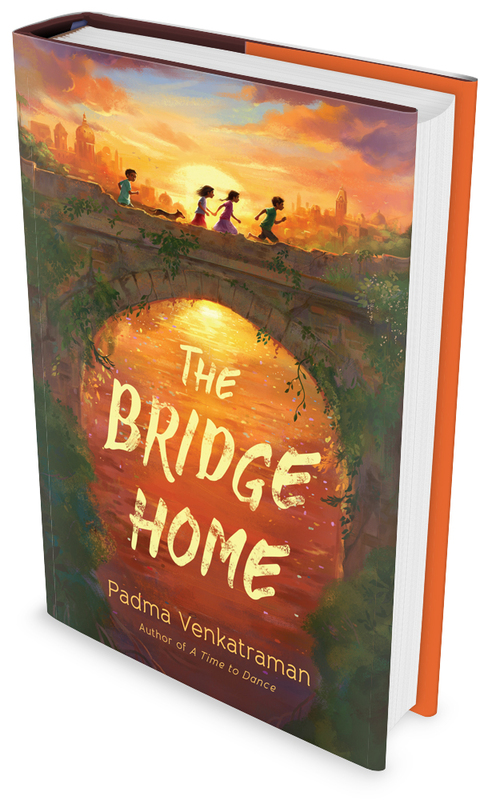 Four determined homeless children make a life for themselves in Padma Venkatraman's stirring middle-grade debut. Life is harsh in Chennai's teeming streets, so when runaway sisters Viji and Rukku arrive, their prospects look grim. Very quickly, eleven-year-old Viji discovers how vulnerable they are in this uncaring, dangerous world. Fortunately, the girls find shelter--and friendship--on an abandoned bridge. With two homeless boys, Muthi and Arul, the group forms a family of sorts. And while making a living scavenging the city's trash heaps is the pits, the kids find plenty to laugh about and take pride in too. After all, they are now the bosses of themselves and no longer dependent on untrustworthy adults. But when illness strikes, Viji must decide whether to risk seeking help from strangers or to keep holding on to their fragile, hard-fought freedom. Padma Venkatraman is an oceanographer by training and a writer by choice. She is the author of four acclaimed novels, The Bridge Home, A Time To Dance, Island's End and Climbing the Stairs, which have received multiple starred reviews and appeared on numerous best books lists including ALA/YALSA Best Books for Young Adults, CCBC, New York Public Library Top 25, IndieNext, Kirkus Best Book of the Year, and many others. Her books have won honors and awards including the Paterson Prize, Boston Authors Club Julia Ward Howe Award, RI Book of the Year, and the South Asia Book Award. Padma was born in India and received her Ph.D. in oceanography from The College of William and Mary. She now lives with her family in Rhode Island. Published in 2019 by Nancy Paulsen Books/Penguin Random House. Veda, a young Indian girl, seems well on her way to becoming one of the best Bharatanatyam dancers of her time when a tragic accident leaves her disabled. Forced to make do with a crude prosthetic leg because her family cannot afford a state-of-the-art prosthesis, Veda remains determined to dance with the same power and beauty as she once did. Her struggles bring her close to two very different men – a young Indian artist and an American doctor – both of whom help and support her dream. But neither they nor anyone else can help her battle the insistent ghost pain in her phantom limb. 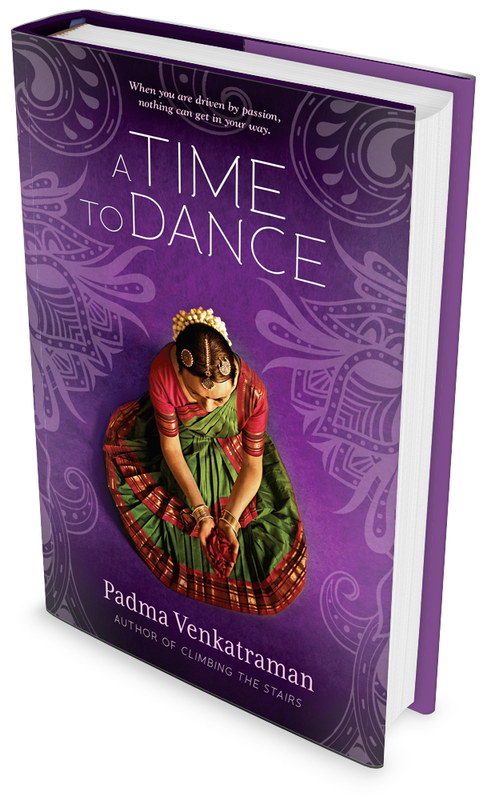 And Veda learns that to overcome her physical disability, she must discover a source of strength within herself and reach deep into the spiritual aspect of her dance. Published in May 2014 by Nancy Paulsen Books/Penguin Random House. From the acclaimed author of Climbing the Stairs comes a fascinating story set on a remote island untouched by time. Uido is ecstatic about becoming her tribe's spiritual leader, but her new position brings her older brother's jealousy and her best friend's mistrust. And looming above these troubles are the recent visits of strangers from the mainland who have little regard for nature or the spirits, and tempt the tribe members with gifts, making them curious about modern life. When Uido's little brother falls deathly ill, she must cross the ocean and seek their help. Having now seen so many new things, will Uido have the strength to believe in herself and the old ways? And will her people trust her to lead them to safety when a catastrophic tsunami threatens? Uido must overcome everyone's doubts, including her own, if she is to keep her people safe and preserve the spirituality that has defined them. 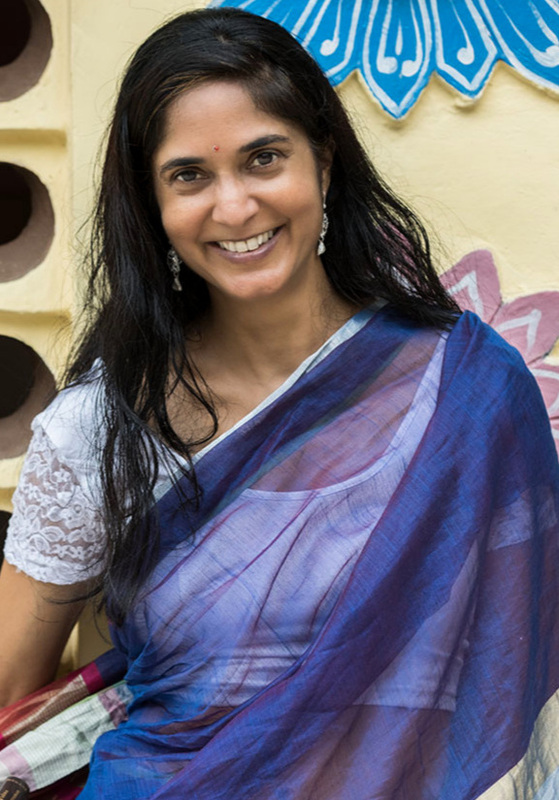 Drawing on firsthand experience from her travels to the Andaman Islands, Padma Venkatraman was inspired to write this story after meeting natives who survived the 2004 tsunami and have been able to preserve their unique way of life. Uido's transformation from a young girl to tribal leader will touch both your heart and mind. Published by Penguin in 2011. Fifteen-year-old Vidya dreams of going to college— an unusual aspiration for a girl living in British occupied India during World War II. Then tragedy strikes, and Vidya and her brother are forced to move into a traditional household with their extended family, where women are meant to be married, not educated. Breaking the rules, Vidya finds refuge in her grandfather’s library. But then her brother does something unthinkable, and Vidya’s life becomes a whirlwind of political and personal complications. The question is, will she be strong enough to survive? Published by Penguin in 2010. "A welcome addition to the small but growing body of historical fiction about growing up female in India…This novel excels in its detailed depiction of a Brahmin girlhood and family life during a time of intense social and political change…"